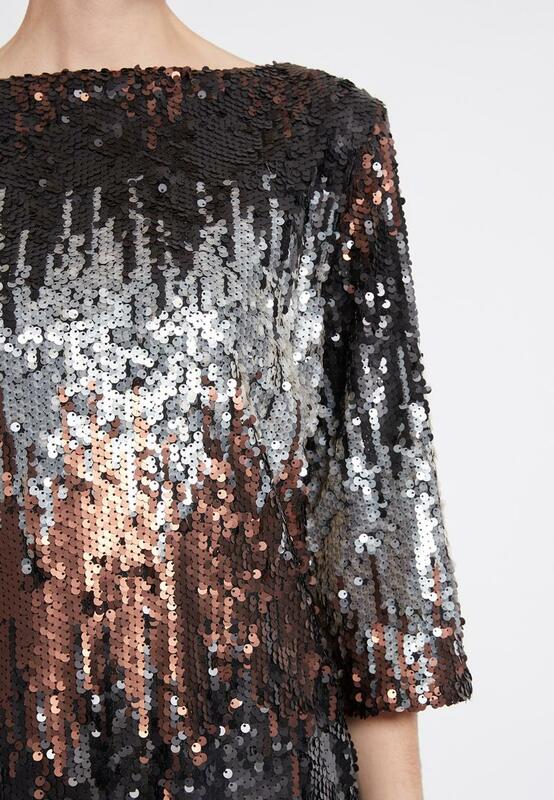 Our style team says: line up to illuminate the night - the extroverted sequin design turns the mini dress in a flowing cut into a sparkling firework. The long sleeves skilfully balance out the seductively short skirt length. The round neck collar and the pleasant material ensure it's absolutely comfortable to wear. 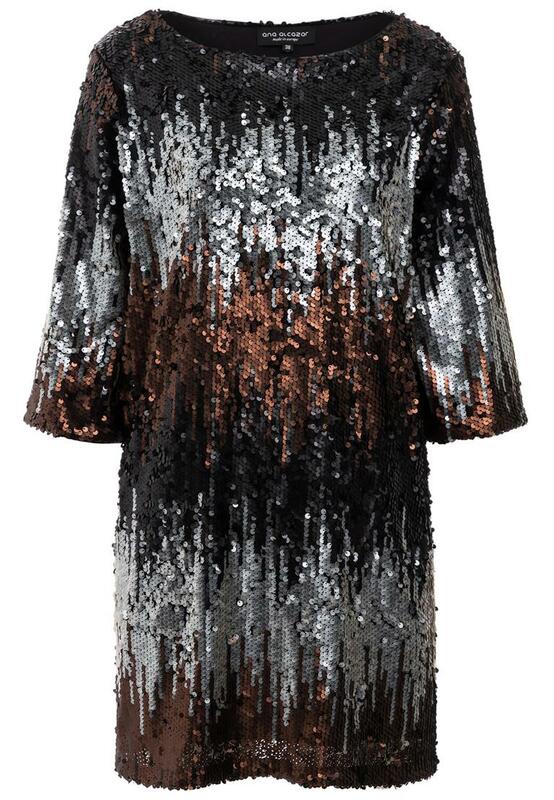 Wear the shimmering look with the flared 3/4 sleeves on the dance floor, paired with an up-do and glitter heels. Don't forget the red lipstick!